[PRESS RELEASE] Could Bangkok climate talks unlock the ‘Paris Rulebook’ stalemate? As the last round of climate change negotiations start in Bangkok, Thailand, ACT Alliance joins other climate justice movements to call for significant progress in the development of the rulebook to guide the implementation of the Paris Agreement. “Major decisions on the implementation of the Paris agreement will be made at COP24 in Poland later this year, and this will depend on how much progress is made in the Bangkok negotiations. We want to see significant steps forward in all the negotiations to enable governments to make the necessary decisions when they meet at COP24,” says Rudelmar Bueno de Faria, ACT Alliance General Secretary. The rulebook, which elaborates the modalities, procedures and guidelines for the implementation of the Paris Agreement, is extremely important because it determines how and whether the agreement can be implemented in a manner that is ambitious and equitable or not. “The goals of the Paris Agreement to limit global warming by 1.5 degrees, to build global resilience to the impacts of climate change and to provide financial resources to support the efforts of developing countries to respond to climate change can only be achieved if the rulebook reflects the necessary transparency, accountability, and ambition and deliver climate justice that respects human rights and contributes to sustainable development” says Martin Vogel, Chair of the ACT Alliance climate change group. 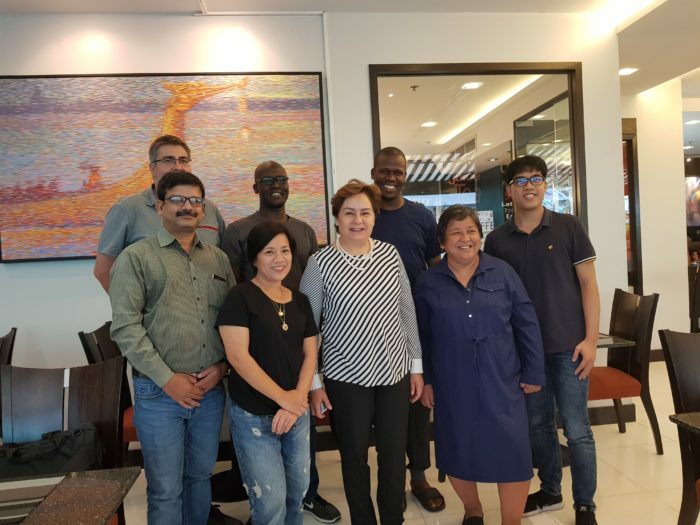 As an official observer to the UNFCCC, ACT Alliance has sent a delegation of policy experts to engage with the Bangkok negotiations and to support the efforts of most vulnerable developing countries while holding government accountable to the decisions they made in Paris in 2015.